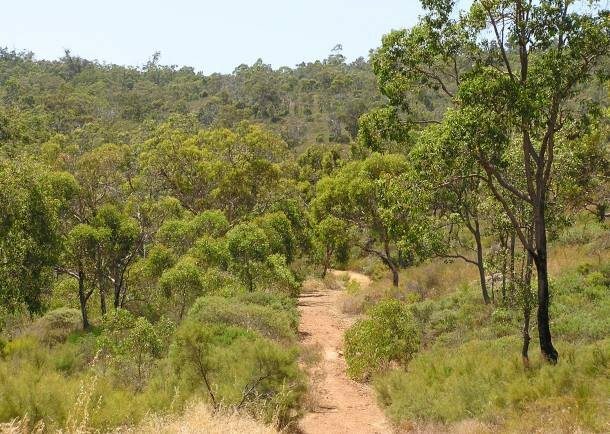 An enjoyable, scenic introduction to the heathlands and forests within Mundy Regional Park along the Darling Scarp at the western edge of the Darling Range close to Perth. 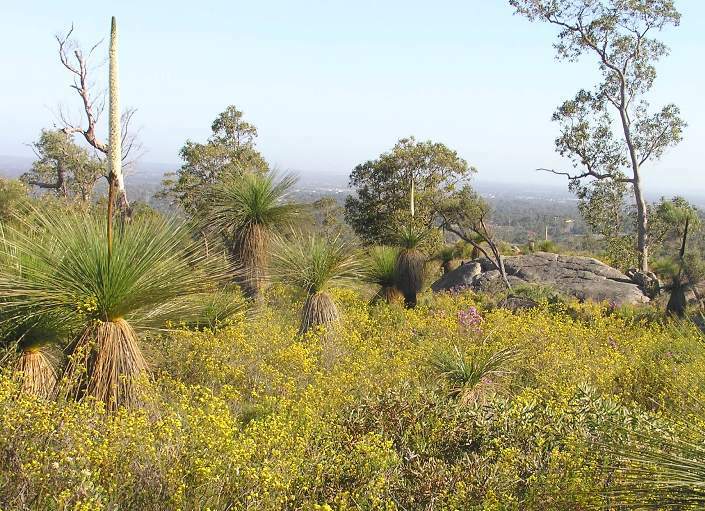 The Scarp provides sweeping views to the coast and Perth city. 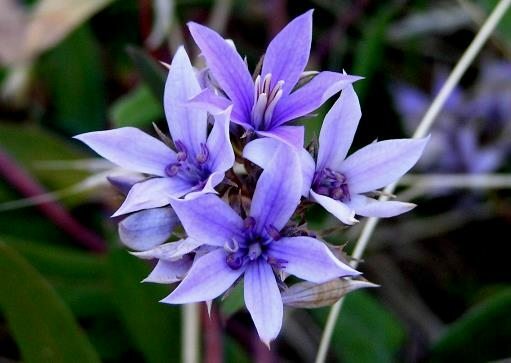 Spring is always an excellent time to visit because of the prolific heathland wildflowers. 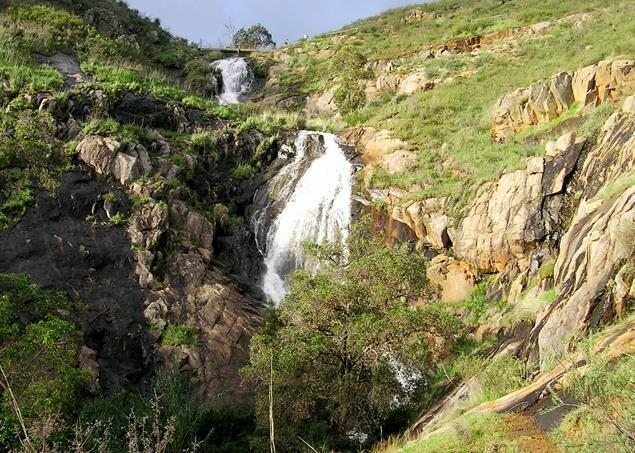 Following winter to spring rains the Lesmurdie Falls also cascade impressively down the Scarp over two main drops totalling about 50m. 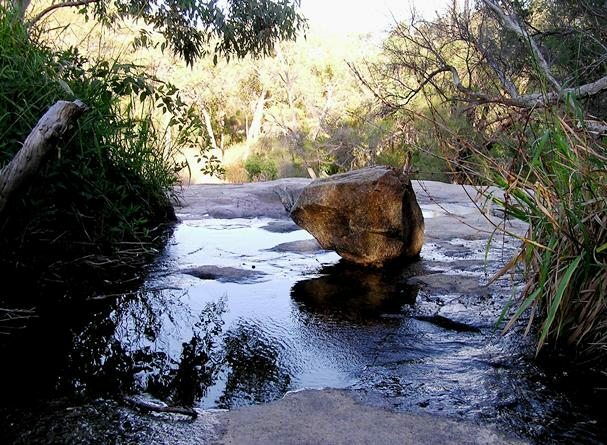 Walking in this area close to Perth is an enjoyable and scenic introduction to the heathlands and forests along the western edge of the Darling Range. 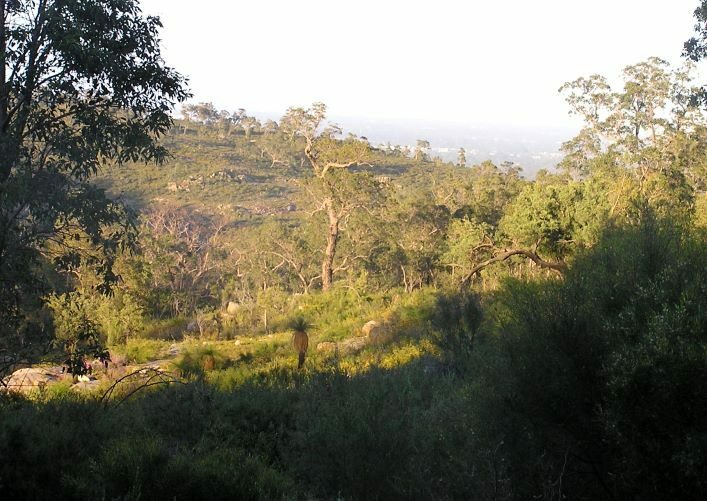 Suburbia intrudes on the Darling Scarp from both west and east in this area, but a reasonably protected and unbroken strip about 1km wide covers the mainly steep and rugged slopes of the Scarp and extends N-S for about 4km between Welshpool Road in the south and Kalamunda Road in the north. 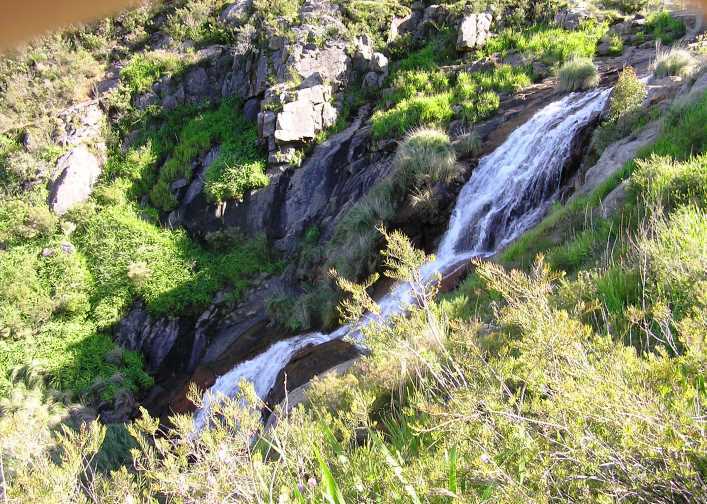 This strip, which lies within the 538ha Mundy Regional Park which contains extensive areas of relatively undisturbed low heathland and patches of mixed forest (including marri and wandoo), plus flowing streams, and noteably, in the south the small Lesmurdie Falls National Park (56ha), which includes Lesmurdie Falls. 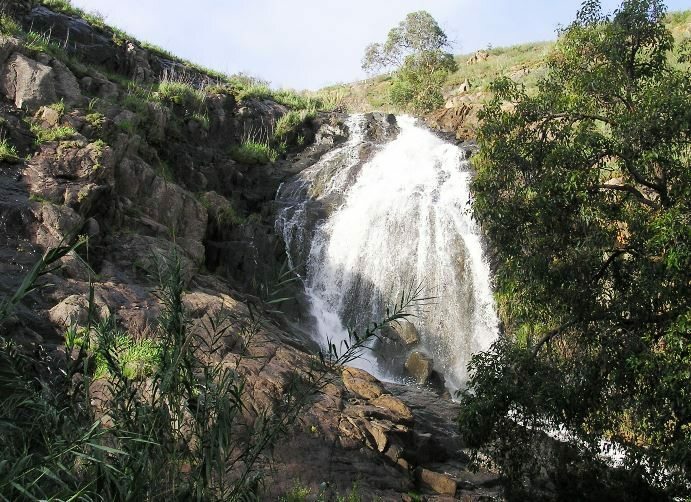 In winter to spring the Falls usually cascade impressively over two main drops totalling about 50 metres. 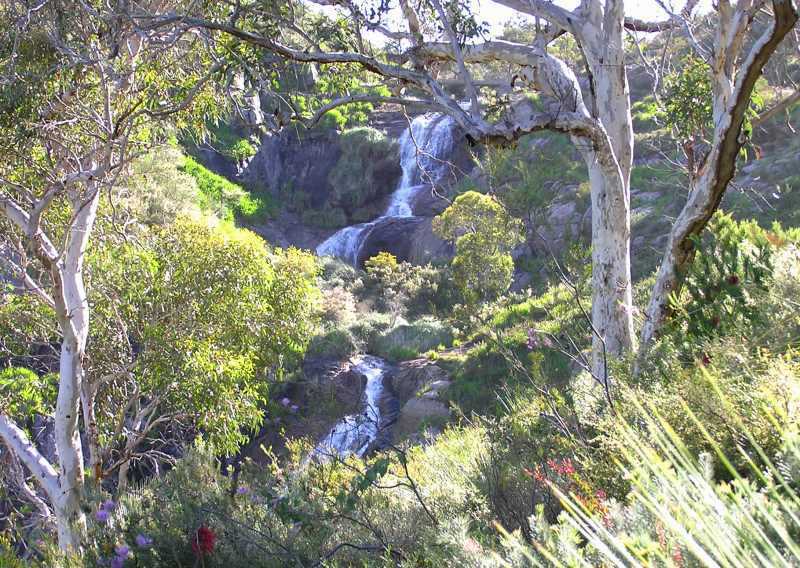 The short (2km) Lesmurdie Falls Walk Trail, which is incorporated into this route, was selected by DSR and DEC (now DBCA – Parks and Wildlife) in late 2008 as one of about 30 bushwalking trails in WA to be promoted by Trails WA as “Top Trails”. Spring is always an excellent time for walking the Scarp because of the prolific heathland wildflowers. 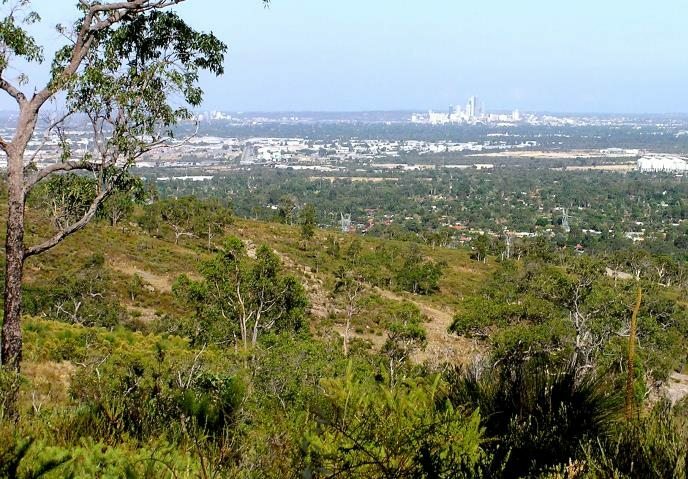 The Scarp also provides wide panoramas of the coast and Perth city. Despite the proximity to suburbia and the city views you will still be able to find some sense of ‘wilderness’ even here. There is a fairly extensive network of tracks/trails along this section of the Scarp. Most of these are shown in red on the map. 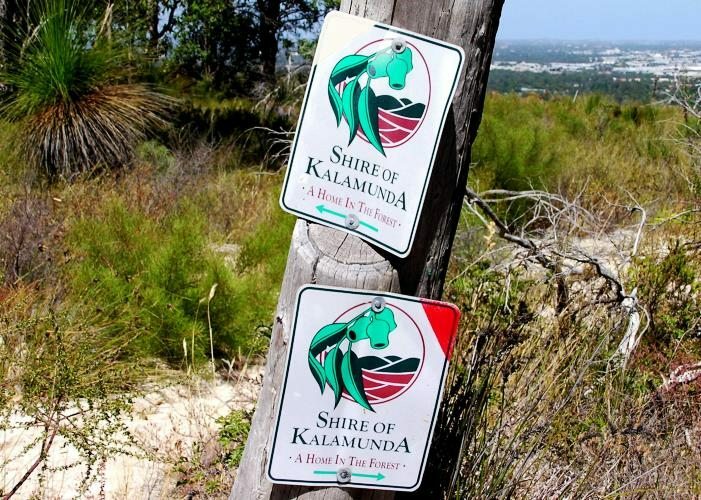 The Shire of Kalamunda has established from these a number of marked walking trails, most of which are short walks of around 4-6km. There are endless options for varying and combining the existing trails into longer or shorter walks. 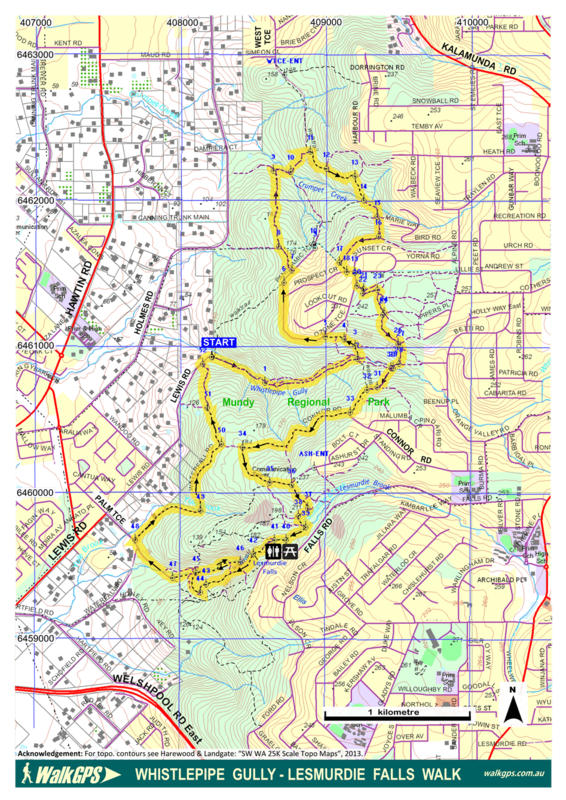 The WalkGPS route here is one combination that achieves not only a day walk of reasonable length but also some variety of terrain and scenery (including Whistlepipe Gully and Lesmurdie Falls) while not ‘overdoing’ the amount of steep uphill walking and also minimising on-road walking (about 10% or 1.3km of the route is on sealed roads). The route also offers the option to easily shorten the walk at various points if the distance and hill work does prove too challenging on the day! Shorter walk options: See ‘Other info.’ for links to Shire of Kalamunda and Trails WA shorter walks in the area. 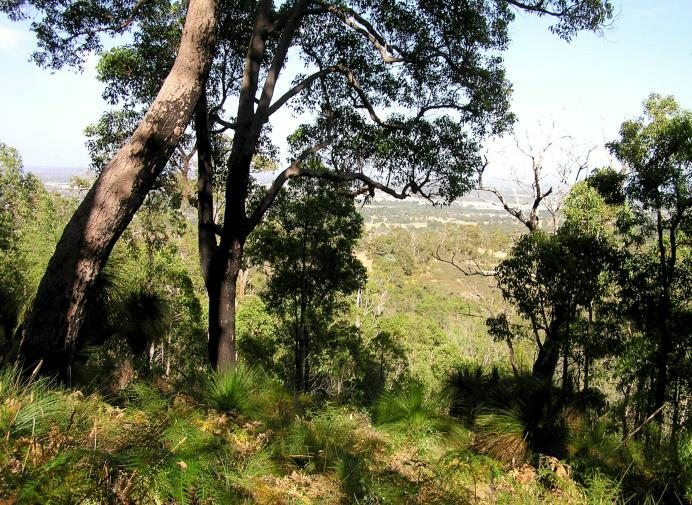 For another walk along the Darling Scarp also see WalkGPS Bickley Reservoir – Lions Lookout Walk on this site. Start at the carpark at the end of Lewis Road. A gate with a “Mundy Regional Park” sign marks the start of the Whistlepipe Gully Walk trail. Follow the wide trail eastward along the south side of the stream. Just before reaching a small concrete bridge across the stream, turn right (at ‘1’) onto a smaller foot-track which climbs a short way up the hillside and over a granite outcrop before returning to the stream bank. – Beneath the granite outcrop you will see the ruins of the house built in the 1960’s which straddled the stream course and used the granite rock faces partly as walls. (See “Mythic houses…” under Other info.). Continue along the south bank of the stream until ‘2’, then cross the stream to the north side via the wooden bridge. Follow the wide and pebbly track steeply uphill, ignoring side tracks on the right at ‘3’ and ‘4’. Meet Ozone Road (at ‘5’). Follow the sealed road initially westward, around the hillside (near the top of the Scarp) for a total of about 1km, getting excellent sweeping views across the coastal plain to Perth and the coast. The road curves northward to ‘6’. (Ignore the side road, Prospect Court, on the right.) Veer NE into Panoramic Terrace (at ‘8’) and after less than 100m turn left (at ‘7’) to head NW along a dirt track which meets a junction with another track after 200m (at ‘8’). The section of the walk, from waypoints ‘8’ to ’17’, now follows much of the West Terrace Walk Trail, but in reverse direction to the purple markers. – At the track intersection at ‘8’ take the northward track and soon descend quite steeply downhill to a T-junction with another track near the south bank of Crumpet Creek (at ‘9’). Take the right fork and cross the stream over a culvert (at ’10’), then follow the track steeply uphill to meet another T-junction (at ’11’). Again take the right fork which heads initially downhill then up the valley. Ignore t vehicle tracks entering from the left at ‘12’ and ’13’. Re-cross the creek at a bridge (at ’14’). Immediately after crossing the stream the vehicle track on the left, initially following the south bank upstream then veering southward through a track junction at ‘15’ and climbing steeply uphill (past houses on the left) finally reaching a T-junction (at ‘16’) near the edge of the flatter, lateritic plateau surface at the top of the Scarp. Follow the track approx. SW around the plateau margin through forest to another T-junction (at ’17’). Turn left to follow the track a short distance uphill to meet the intersection of four sealed roads (at ’18’). Veer left (eastward) onto sealed road and within 50m reach the corner of Prospect Rd and Ozone Tce. Turn right (south) onto Ozone Tce, with the bushland of Mundy Regional Park on your left. Within 100m (at ‘20’) turn left onto a vehicle track to enter the bushland (initially mainly parrot bush and scattered marri trees). After ~50m (at ‘21’), where the vehicle track curves to the left (ENE), take the minor sidetrack on the right which connects to another vehicle track at ‘22’ within 30m. Turn left to follow this vehicle track ENE to a junction at ‘23’. Turn right to follow a vehicle track southward to a junction at ‘24’. Veer right and immediately locate another track entering at ‘25’ (A small orange boulder sits at the right side of the track entry.) Take this entry to head initially southward and then SE down the hillside through slightly more dense forest. Pass through a track junction at ‘26’ and at ‘27’ locate and follow a minor track more steeply down the hillside, meeting a wide, unsealed vehicle track (an extension of Orange Valley Rd) at ‘28’. Turn right onto this track and at ‘29’ re-cross Whistlepipe Gully stream by the wooden bridge. 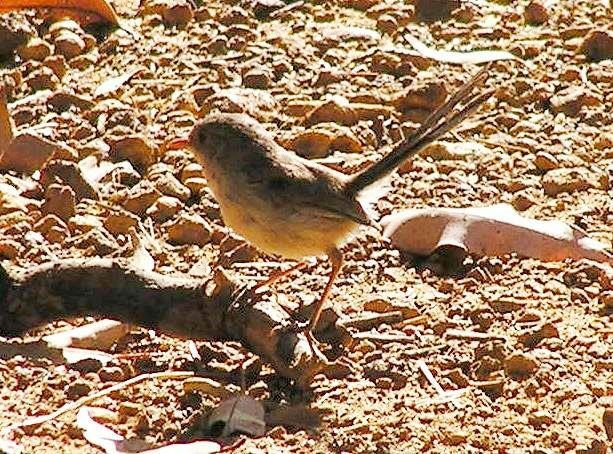 Then, within 20m, locate and follow a minor foot-track which veers left off the vehicle track to head SW up the hillside toward the top of the Scarp, initially passing through heathland and then into young jarrah forest with an abundant understorey of Winged Wattle (Acacia alata). Meet a vehicle track at ‘31’ and turn right to follow the track approx. SW (via ’32’ and ‘33′) along the hillside with pleasant valley and Coastal Plain views through forest and across open heathland. Take a left branch of the track (at ’34’). The track climbs steadily and veers left (ESE) to enter forest (about ‘25’) toward the top of the Scarp (near the end of Ashurst Drive, an alternative access point). Then turn right at ‘36’ near the wireless station and old house ruins and descend toward Lesmurdie Brook. After the track turns SW along the valley slope (at ‘37’), take the next track branch on the left (at ’38’) to cross the Brook and then turn right (at ’39’) to follow the south bank of the Brook downstream to Lesmurdie Falls picnic area (at approx. ’40’; toilets, picnic area and carpark nearby). Continue on along the Falls track (via ‘41’) to reach the viewing platform (at ‘42’) which straddles the Brook at the top of the Falls. There are good views SW down the Lesmurdie Brook valley to the Coastal Plain. Follow the track SW along the steep south face of the valley (via ‘43’) and at a track Y-junction at ‘44’ veer right to follow the track downhill to meet a trail (at ’45’) along the south bank of Lesmurdie Brook. If time and energy allows, as an addition to the walk, turn right (east) to follow this trail to ‘46’ near the foot of Lesmurdie Falls (especially worthwhile in winter-spring when the Falls are in full flow). Then follow the trail west to reach a carpark at ‘47’ at the end of Palm Terrace (a sealed road). Follow Palm Tce for 300m, then turn right (at ’48’) through the gate to follow the vehicle track (Waterfall Rd) initially NE along an old fenceline, then veering east and uphill before crossing a stream gully (at ’49’). The track then climbs quite steeply northward around the hillside to meet T-junction (at ’50’). Take the left fork and follow it downhill. At ‘51’, where the vehicle track veers westward, locate and follow an old foot-track on the right which heads northward to meet Lewis Road at ‘52’ after about 300m. (Note: There is a Shire of Kalamunda track sign on a marri tree just past the track entry but this old track is not maintained and little used, so may be a little challenging to follow in places. Alternatively you can stay on the vehicle track after ‘51’ to meet Lewis Rd within 200m.) From ‘52’ just follow Lewis Rd for ~100m to return to the Start point (‘53’) at the Whistlepipe Gully carpark. Via Orrong Road or Shepperton Rd, then Welshpool Rd, then 1.5 kms past Tonkin Hwy intersection turn left into Lewis Rd. Follow Lewis Rd to end and parking area at start of Whistlepipe Gully Trail. – various other entry points from the top of the Scarp: including Connor Road and Ozone Terrace. Via the various tracks either west down the Scarp or east up the Scarp. “Darling Scarp Field Excursion…”, in Nov. 2006 Newsletter (pp.4-10) of Friends of the E de C. Clarke Earth Science Museum. -This provides an excellent summary of the geological origin of the Scarp. Lesmurdie Falls Walk Trail, Trails WA site. “Mythic Houses: Some Western Australian examples”, Duncan Richards, 2006. – This includes, on pages 5-6, the fascinating details and history of the Whistlepipe Gully house ruins (also see cover pictures of the original house). No longer accessible online. But see “Whistlepipe Gully and the Wallace Greenham House”, which also includes some excellent historical photos. 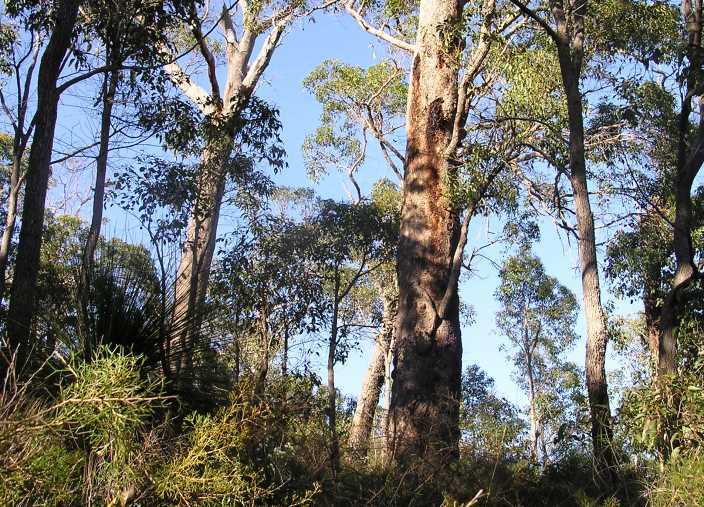 Mundy Regional Park, DBCA – Parks and Wildlife’s site includes a brief description of the Park. 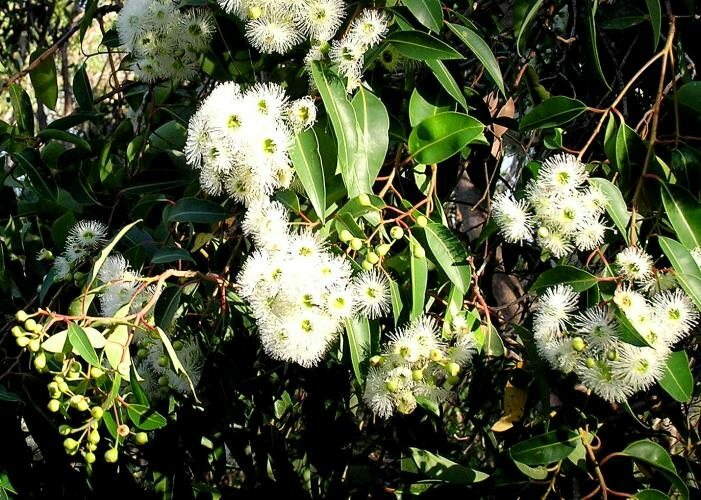 Shire of Kalamunda Walking Trails, – Includes maps and notes for three shorter walks in the area covered by this walk route: Whistlepipe Gully Walk , West Terrace Walk , Lewis Road Walk. Be aware that parts of the ‘established’ trails in the area are not well marked (despite occasional “Shire of Kalamunda” signs) so it is wise to have a good walk description with you. “South West WA 25K Scale Topo Maps”, Greg Harewood & Landgate, 2015. – Digital raster; ECW format on 16GB USB. See tiles #320-2134-III-SW and #314-2133-IV-NW for relevant map coverage. Im looking at the trail map for the Falls Rd to Whistlepipe Gully walk. There us a stretch of Connor Rd between 34 & 50 on the map that is not part of the trail. Is this a very steep or rocky part of Connor Rd? Im thinking of using it as a shortcut to Lewis Rd to make my way up fr there to Orange Valley Rd. More cos im a whoose with steep trails. Thanks, Dave. I d int mind the climb. Just a whooze when things start sloping ddddown. ???? A great walk that we enjoyed very much – thank you to the contributor. Just a minor correction to what is a very comprehensive set of route information – the turn at point 23 is a turn right (as per the written instructions), but the note on the GPS waypoint in the GPX file says “turn left”. Thanks Ian. I’ll fix the errant waypoint note in the GPX file. I was walking here with a new companion yesterday and told her what I knew about the house ruins in Whistlepipe Gully. She emailed me today with this link: http://www.wanowandthen.com/Whistlepipe-Gully.html. It’s a real treasure trove with lots of information and great pictures of the house, and also information and pictures of another house built by the same man, Wallace Greenham. Thx Rob. Great link! I’ll add to ‘Other info’. Also a ref.“Mythic Houses…”, Duncan Richards, 2006 had couple of pages about the history, but no longer online; if anyone knows where a copy can still be accessed (library?) do let me know. Early morning along the Darling Scarp. Heathland along the Scarp, with yellow-flowering Verticordia. Native Yam, Warrine (Discroea hastifolia). Pool on granite rock along Whistlepipe Gully. 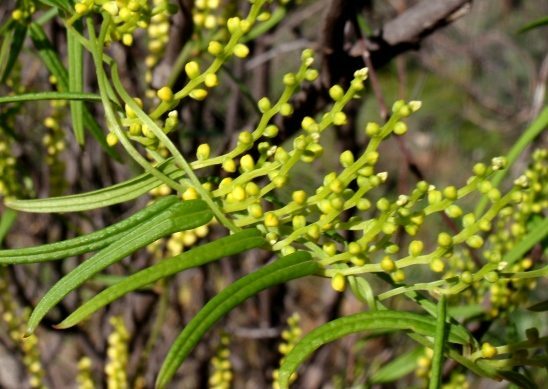 Marri trees on the upper slopes of the Darling Scarp. View through marri trees down scarp. Marri trees along the Scarp.